For more than three decades I have done research on the life, work, writings, and teachings of Helena Petrovna Blavatsky (1831-1891). In the course of this work, I've collected thousands of books, articles and unpublished documents on every aspect of Madame Blavatsky's life and teachings. A selection of some of this material consisting of first hand accounts of H.P.B. 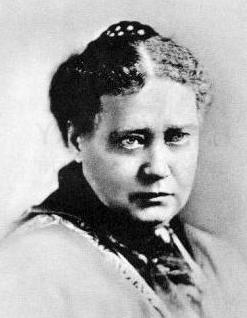 's life, her occult phenomena, and encounters with her Masters can be found in my new book The Esoteric World of Madame Blavatsky: Insights into the Life of a Modern Sphinx (Wheaton, Illinois, The Theosophical Publishing House, 2000). Hundreds of other accounts, articles and documents (positive, negative or neutral) about H.P.B. 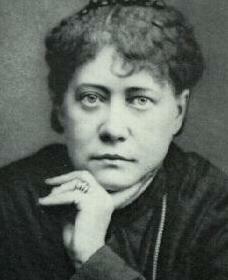 are published on this Blavatsky Archives website. Much other relevant material published on other websites are also listed. ". . . Contrast alone can enable us to appreciate things at their right value; and unless a judge compares notes and hears both sides he can hardly come to a correct decision." The Theosophist, Volume II, July, 1881, p. 218; reprinted in H.P.B. 's Collected Writings, Volume III, p. 225. Dorothy Abbenhouse, John Algeo, Karl Alston, Anita Atkins, Geoffrey A. Barborka, Walter A. Carrithers, Jr., John Cooper, Ted G. Davy, Boris de Zirkoff, Ann Denny, Dara Eklund, Caren M. Elin, Victor A. Endersby, Michael Freeman, Michael Gomes, Michelle B. Graye, Virginia G. Hanson, Jerry Hejka-Ekins, Grace F. Knoche, Mary J. Schneider Kokochak, George E. Linton, Joy Mills, Lakshmi Narayan, Ernest Pelletier, Rogelle Pelletier, David Pratt, Leslie Price, David Reigle, Nancy Reigle, Richard Robb, Carmen Small, W. Emmett Small, H. J. Spierenburg, Leona Sterba, Joan Sutcliffe, Dallas TenBroeck, Will Thackara, Gregory Tillett, Elisabeth Trumpler, John Van Mater, Kirby Van Mater, Henry Van Thiel, and Maikka Van Thiel. Various other persons as well as numerous university, public and special libraries have also helped me with my Blavatsky research.